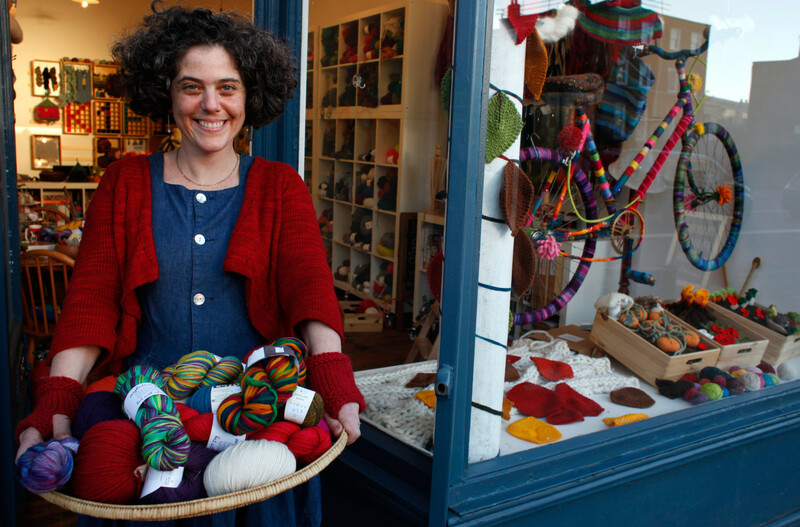 From 1st September for 30 days, Wild and Woolly will transform its shop window into an exhibition space which celebrates the creativity and skill of hand knitters. Wild and Woolly invites knitters from East London and beyond to submit their handknits for display in a seasonal celebration of wool, warmth and community. All handmade knitwear is welcome: socks, hats, mitts, gloves, scarves, sweaters, cardigans, cowls and shawls. If you knitted it by hand, we’d love to exhibit it! Submitted knitwear should reach the shop no later than 26 August 2018.If you would like to leave items during the summer closed period (between 13 and 20 August), please drop them off with one of the neighbouring shops. As space is limited, knitters are discouraged from submitting very large garments, and it may not be possible to display all submissions. This first Autumn Exhibition will be limited to wearable knitwear, so no toys, blankets and homewares. Successful submissions will be rewarded with a specially made Autumn Exhibition brooch. * the name of the design, the designer and the yarn you used in the project. All submissions will be available for collection or return as soon as possible after the exhibition is dismantled on 1 October.